Zion and the Southern Utah area are superb roads riding country. The opportunities for stellar rides of varying degrees of difficulty and the abundance of world-class scenery makes for a road riding destination that’s out of this world for most people-we just call it home. Meals-all trips include breakfast, lunch & dinner Breakfast and lunch are usually onsite at roadside scenic spots and dinner is at restaurants we’ve picked for their loal flare along the way. Credit card touring has also become extremely popular in this area. If you are not familiar- the concept is simple. Get yourself and a bike (your own or rented) to the start of a circuit you’d like to tour and set your bike up for light touring ie.. small panniers or Camelbak (big enough for a change of clothes). Make some room reservations at calculated spots along the tour, and bike from place to place. If you do a loop you end up back at your car. 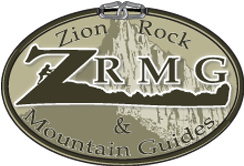 If you don’t do a loop you can contact us to transport you to a starting point and ride back to Zion. Currently, all Cycling Tours are by special request. Below is a list of our favorites. If you have something else in mind give us a shout-We are pretty accommodating. Please Contact Us with a timeframe and your interests and we’ll put something together with you.